In part 3 of this blog, we have considered and talked about the various features and facilities that make up the life at Vatika India Next township near NH-8, Gurgaon, the latest residential project by Vatika Group. This last blog of the series is regarding the ecological aspect of the township, which helps in understanding how Vatika INXT has been designed to make full and sustainable use of the available resources, rendering an eco-friendly environment and ambience of the township suitable for a long and happy life with your family. With the vision to create an eco-friendly community, Vatika INXT has been designed, which renders minimum carbon footprint, as well as environmental impact. Equipped with the latest technology which helps to minimize the ecological impact on the surrounding, INXT is being developed to be a self-sufficient township while utilizing minimum outside resources. 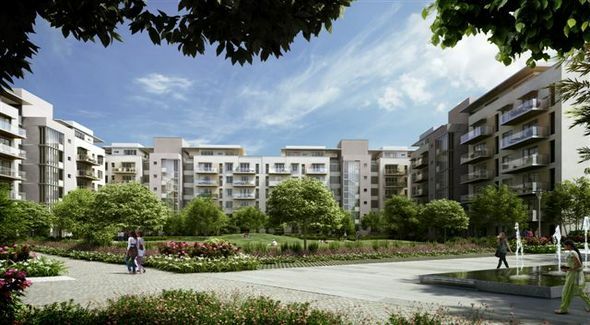 Various energy and resource efficient technologies are being incorporated with almost all aspects and facets of the township, making it one of the cleanest and greenest townships in Gurgaon. Rainwater Harvesting – One of the most important and basic element that help sustain human life is water. Rainwater is one such source which gives us abundant supply of water which if collected/harvested properly and used to recharge ground-water can provide for all the water needs of the township. Waste Management – The township will be equipped with its own sewage treatment plant that will help in effective solid waste management. A well planned system for managing garbage will be in place at INXT. Construction Material – The use of alternative material used for construction, for instance, the use of Aluminium and uPVC for doors and windows instead of wood and timber, will help in reducing wastage of non-renewable resources. Vatika India Next makes use of some of the most eco-friendly and energy efficient technologies available to provide a clean and green enviro for its residents. Without compromising on performance and reliability, the township will have all the facilities to create a healthier lifestyle. To render a picturesque to the township and for ease of maintenance the township has an intricately designed underground power cables system, which ensures that the electricity wires do not clutter the skyline. The power distribution system of the township is engineered to scale for any increase in the demand of electricity in the future. A dynamic and scalable township, Vatika India Next, has been designed to serve its residents with all its future needs, a city within a city that will continue to show steady growth for years to come. The various key aspects and facets of the Vatika township have been designed keeping in mind the future needs and growth of its residents; with scalable design, which can accommodate the growth in the number of residents, their energy consumption and water resource requirements, etc. From street design, which provides ample driving and parking for vehicles, and wide walkways for pedestrians, the township is ready to tackle both thin and thick traffic with a smile. The communication network, power distribution system and piped gas networks* (gas pipeline network has covered most part of the township, but not all) have the provision to scale up the supply, whenever and wherever required in the township. Vatika India Next is ready for the future, with several educational institutions, neighbourhood retail establishments, clubs, medical dispensaries, salons etc. that have been planned, there is no looking back. This entry was posted in Residential Space and tagged eco friendly flats, eco friendly township, green township, vatika flats on February 6, 2014 by Admin.